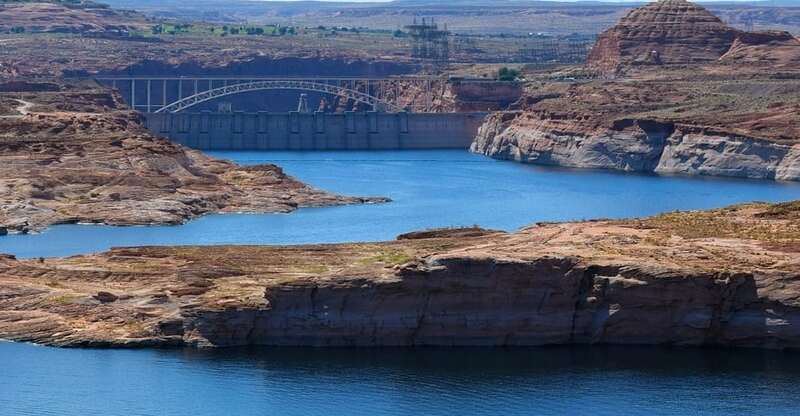 The lake was formed by the completion of Glen Canyon Dam across this area of the Colorado River in 1966. When full, the lake covers an area of about 162,000 acres. The dam provides essential water storage and power for much of the southwestern United States.